CU Boulder Chancellor Philip DiStefano addressed students during the State of the Campus, on Tuesday. The chancellor engaged in a curated Q&A in which audience members asked questions regarding mental health, diversity and housing. Before this, DiStefano discussed the university’s achievements. DiStefano began by talking about CU student Alan Sanchez, a DACA student. DiStefano retold the student’s experience of becoming an aerospace engineer who will receive the Forever Buffs Student Award at the annual Alumni Awards Ceremony later this month. DiStefano stated that the university “strongly supports” DACA students. DiStefano then introduced freshman Sophie Choubai who received the CU Promise Scholarship and the Esteemed Scholarship. Choubai feels that CU helped her to gain the opportunity to higher education. DiStefano continued to state that 92 percent of CU Boulder graduates are employed, attending graduate school or serving in the military. He addressed how CU is 48 for state funding, which accounts for 5 percent of CU budget. DiStefano said that through innovative measures, the university has raised funding, leading to extensive research in the fields of science and technology. These innovations include a growth in endowed chairs, funding and scholarships. DiStefano said this year set a record in donor giving, which totaled nearly $148 million. DiStefano talked about the importance of research within CU, with 75 percent of research revenue spent locally. “The nation has always relied on its research institutions,” DiStefano said before listing various ways this research is being used, from drones that record tornado data to prosthetics that can be reformed to fit different people. “A four year degree, by all measures, improves mental wellness,” DiStefano said. However, mental health was an issue raised by audience members during the address. 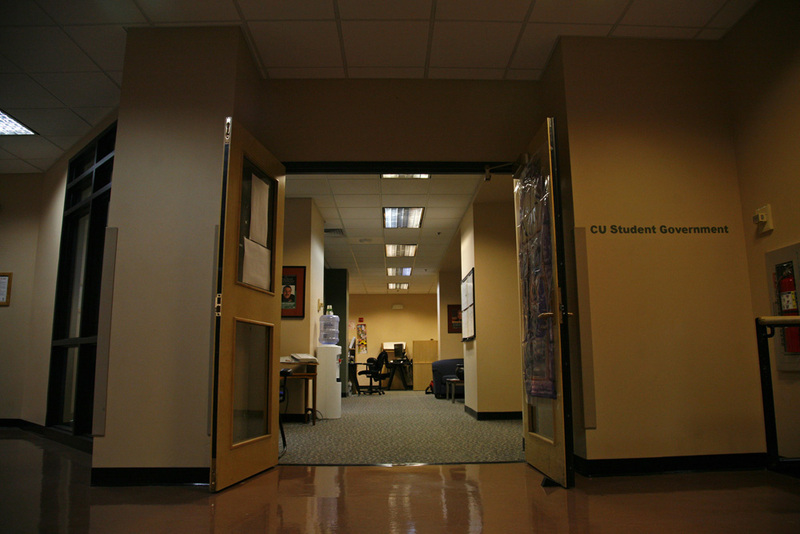 According to DiStefano, CU has seen a 40 percent increase in demand for counseling services, something that the chancellor found “very concerning”. The chancellor proceeded to list various services to combat mental health issues such as walk-in appointments and one-on-one counseling and therapy. It was unclear which student DiStefano was referring to. When asked for a statement in regard to CU not reporting student suicides, DiStefano did not comment. Spokesperson Ryan Huff intervened, stating that the cause of student deaths is not always known and thus statistics on suicides cannot accurately be tracked. Other issues raised by the audience included housing and the growing CU population. One audience question asked if CU would ever consider capping enrollment. DiStefano assured that the admission process was one of quality and mentioned the building of an additional residence hall on east campus. DiStefano also talked about a “master plan” to provide affordable housing for students and faculty. This plan will involve discussions with the city of Boulder in terms of annexation of south campus. “If that annexation comes through, one of my priorities will be to build affordable housing for faculty, staff and graduate students,” DiStefano said. Another audience question asked for an update on what is being done for diversity and inclusion on campus. DiStefano asked Sharon Matusik, dean of the Leeds School of Business, to discuss what is being done for inclusion. Matusik spoke about the importance of diversity in business. She mentioned the establishment of the Office of Diversity Affairs in 2001 and gave examples of how diversity is being promoted. One of these initiatives is called “End the Gap,” which aims to combat gender gaps. DiStefano also mentioned the importance of CU Student Government, both for students and faculty. Many students in attendance found DiStefano’s address informative. Colwell herself participated in the student walkout in response to DiStefano’s planned CUSG budget cut. Colwell wishes DiStefano addressed this issue more during his talk. Junior Dirk Van Rees said he learned new information from the talk. “This is the first that I’m hearing about the inter-workings of the university,” Van Rees said. Van Reese said he was unaware of the extent of many issues such as mental health and housing.